Alberta Liberals set to rebrand as Liberalberta, sources say. A screenshot of the Liberal Party website. The Alberta Liberal Party is rebranding its image with plans to relaunch its website, adopt a new logo, change its official colours, and, according to Liberal sources, rename itself Liberalberta. Last forming government following the 1917 election, Liberals are the constant underdogs of Alberta politics and being severely hampered by connections to unpopular Liberal governments in Ottawa. 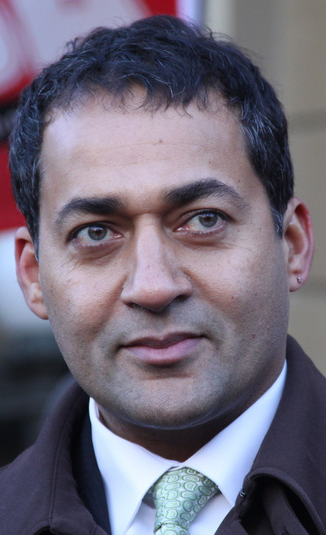 After three years of internal turmoil following left-leaning leader Kevin Taft‘s resignation in 2008, the Liberals selected former Tory MLA Raj Sherman as their leader in 2011. During those intervening years, the Liberals lost their position as the default opposition to the Tories and were replaced by a reinvigorated Wildrose Party led by lobbyist and former newspaper columnist Danielle Smith. The Liberals dropped to 9% province-wide support in the 2012 election, electing only 5 MLA’s and losing Official Opposition status for the first time since the party’s high-watermark in the 1993 election. In August 2012, the Liberals hired a new executive director, Gerald McEachern, a New Brunswick-based writer and consultant. The major rebranding, an idea that in the past has been rejected by the more orthodox Liberal crowd, is likely an attempt for the party to gain back the ground it lost – which just may require a drastic move (and perhaps they drew some inspiration from the name of a popular political blog). As well as rebranding, the Liberal Party’s board of directors is said to have rescinded its offer to cooperate with other “progressive” political parties – namely the New Democratic Party and the Alberta Party – to prevent vote splitting. Unfortunately for all three of these parties, the shifted political narrative in the 2012 election led many progressive and moderate Albertans to support Premier Alison Redford‘s Progressive Conservatives in order to block Ms. Smith’s Wildrose Party from forming government. Update (October 19, 2012): I posted a question on Twitter to Liberal Party strategist Alex Macdonald asking whether the new “Liberalberta” wordmark logo had been focus group tested. Mr. Macdonald’s response was that the “Liberalberta” wordmark had been approved by the Liberal Party executive and executive board, and not a impartial focus group. Meanwhile, Calgary Liberal Party activist Gwyneth Midgley raised concerns on Twitter that Liberal Party members were not consulted in the rebrand. This entry was posted in Alberta Politics and tagged Alex MacDonald, Alison Redford, Danielle Smith, Gerald McEachern, Gwyneth Midgley, Kevin Taft, Raj Sherman on October 18, 2012 by Dave Cournoyer. I wish the Alberta Liberals good luck with this change. Dear U of A, when you say that the Alberta Party was annihilated, you mean that we went from 0 seats to 0 zero seats… on our first election after forming less than 2 years prior? Glenn Taylor stepped down after an election in which we didn’t win any seats. That doesn’t seem odd to me. It’s actually quite dignified and honourable. Most of us wanted him to remain, but he made the decision he made for personal reasons. I would like to also point out that the Alberta Party is not dead and remains open to cooperating with everyone in Alberta politics in order to build a party that can accommodate moderate Albertans. Our door remains open to all Albertans. The Alberta Party–stands for nothing. Has no seats, or natural politcal allies (except the PC’s to create a vote spilt on the left) no new leader or a warchest to fight an election in four years. The Alberta Party was an answer to a question nobody was even asking. Made up of mostly former Liberals who thought the ALP had a brand problem. Raj Sherman was only leader for 6 months before the last election. But he was still able to get every MLA who had a seat before the writ re-elected & ran a full slate of 87 candidates. In the face of what many said would be a total wipe out & against a Brian Mason orange wave that never happened. The Alberta Liberal Party has the same name it has had for 107 yrs. We have a core of great MLA’s who voters like and return to office. At present is the best run, most organized and for most part debt free opposition party in Alberta (which is very impressive). Now the Alberta Liberal Party has a new logo, new outlook and almost 4 yrs to prepare for the next election. Raj has the people, he has a plan & together he will make the difference. I wish the Alberta Party luck, the New Democrats luck & the Wildrose Party, along with the Evergreens luck too. They will all need it. Wade: Your comment proves to me that you really don’t understand why people like myself left the Liberal Party. The Liberal Party’s “brand problem” is much deeper than its logo. Just a bit of advice, calling former supporters stupid really isn’t a good strategy for attracting them back. To be fair, I did not call anyone stupid (it may be implied). Although I agree with you that calling former supporters stupid is not a good strategy for attracting them back. I think having a Leader who works hard (we do), and having a party that works well (we will). Is the real key to success. The biggest problem the ALP had was it’s culture. One that was not welcoming to new people in the party. Too conservative in its operation and was not open to real change. Plus, it had not mission for its first and only job, electing MLA’s. I had a very good Poli Sci prof tell me once that it is all about the Leader in a party or movement anyway. I did not agree with him at the time, I sure do now. Brand is important, but it is only a part. It can be dammaged, it can also be fixed and in the case of Alberta, even overcome. Alberta will be a very different place in 4 yrs. Every party will get thier chance. But for me politics is no fun when the only role folks you support play is the role of spoiler or worse court jester. Izzard, you are a breath of fresh air. 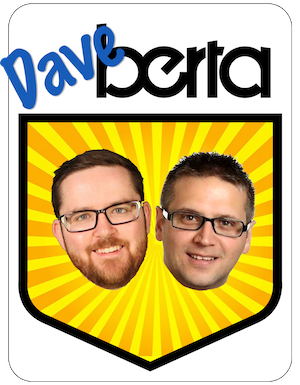 Dave Berta, who ever made you upset enough to leave the Libs., either you have forgive, forget and moveon and become wise or just become a negative, cranky spoiler. When the center starts to rebuild and rest assured, it will, folk may not be as welcoming, as your island shrinks. The ambitious young ones will start new blogs will be electrified and you will just appear to be a bitter hasbeen vote splitting spoiler. You need to lighten up and get off your self righteous high horse. You are a smart guy, very thoughtful and intelligent. AP folks mean well, but voters are not interested in any large way. Its time let go of old entrenched baggage, do some sort of reconciliation and take part in something great by being a creator and someone that supports building the center through collaberation, compromise and vision. This only happens when folks are open minded, willing to evolve, and work hard to build consensus. To do anything else is a waste if time and counter productive. Further to the last comment, it appears a great effort has been put forth ideologically polarize and divide the center. The time is NOW to unite the center and the question, not what the center has done for you, but what are you willing to do for the center. Either be a divider or uniter. You cant sit on the fence and have it both ways. Next election, same dividers, same whining, what a waste of those years. Just sayin…. Something to think about. Running a full-slate of 87 candidates is hardly anything to brag about when the Alberta Liberal Party parachuted in candidates who did not even live in the riding they contested, and who did not even run a campaign nor show up to all-candidate forums. As was the case in my riding: simply a name on the ballot to further split the vote needlessly. Say what you will about the Alberta Party, but their candidates are local and impassioned leaders. The last thing I want to be right now is a smartass about your comment. I think it is a great thing for democracy that you put your name forward and on a ballot. Few voters know the messy details about inside baseball that is politics. The Federal NDP got people elected that never set foot in the riding or even met the leader face to face. I am proud of what the ALP managed to pull off in the last election. I know the hard work that went into that effort. The Alberta Party has some great ideas. But some of the people behind the party just did not understand what was going on. The blamed brand, low voter turnout in 2008 and were made up of people who thought they were so smart that they could go it on thier own with an new party. Voter turnout went up. The P.C party share of the vote went down 8 percent. They still won huge. The reason is the P.C. party won is because they had a better ground game than anyone else. Something you noticed when you ran. It takes time to build a party any party. It is my hope that you and the Alberta Party could prove me wrong in the next election. Knowing some of the people in your party and the outlook they have. My guess is that the chances of it working out are very slim. The ALP is an open party. You do not even have to join, just become a supporter. In the years to come think about where you want Alberta to be. I think voters are smart and they get it right. No matter which party you are with or if you choose to run as an independant. You have to earn thier vote Jarred. I am not sure where you got the idea from my comment that I ran as a candidate in the last election, I don’t see where I said that – nor do I see anything like that implied. I was simply a voter frustrated that a candidate who didn’t even live in the riding nor appear to care about my riding got as many votes as he did. Citing that the NDP had parachute candidates win elections doesn’t make it any more ethical or healthy for our democracy that the Alberta Liberals parachutes candidates too. I would say that such candidates just lead to more cynicism and distrust between voters and politicians/parties – which is the last thing our province and country needs. And for the record, at the end of the day the reason the PCs won a majority government is our first-past-the-post voting system. Proportional representation would have undoubtedly resulted in a different legislature than the one we see today. When I said the reason the P.C. Party won is because they had the best ground game was right on. To blame the voting system for handing the P.C party a majority is wrong. They ran the election with the sytem that was in place. If is was a PR system they would have done it different. Politics is not about ethics, it is about winning. The NDP would have not problem stepping over the corpse of the ALP and work with the PC’s if it meant they became the Offical OP. More voters came out in 2012 to cast a ballot. Most knew what they wanted. A PR system works well for parties that do not work as hard to earn the vote. Why do you hold the Alberta Libearl Party up to a higher standard then all of the other parties with regard to candidates? ALL of them had parachute candidates. Except of course the high and mighty Alberta Party (and where are they today). The voters are the ones who decide what our province and country needs Jared. If they decide to change the voting system they will. If you want to lead a movement to change the voting system to a PR one than you should go ahead and do it. Oh and for the record—you are not simply a voter frustrated about candidates who do not live in the riding or appear to care. You are my Sir a politician (because you hold a position in the Alberta Party). So spare us all with your high minded ideals about politics. Rather than acknowledge that you misinterpreted my post and made some rather rash assumptions you begin with a rude comment. We’ll see about running for office one day. And at the time of the 2012 election I was simply a voter, so please spare me your barbs and disrespect. I really dislike your assertion that politics is only about winning, one can effect change without holding office. Such cutthroat cynicism just exemplifies what is wrong with our political culture today. And the AB NDP doesn’t need to step over the corpse of the AB Liberal Party to become the official opposition, the Wildrose already stepped over both parties – which just exemplifies the folly of us progressives nattering on against each other when what we need is to work together. This petty tribalism is exactly what helps the PCs win elections, and with a fragmented right-wing there is no better time to work together than now. But unfortunately both the Liberals and NDP have passed motions disallowing cooperation between parties. You definitely mischaracterize PR by saying it rewards parties that work less, besides the fact that PR is such a broad term that one has to define the particular form of PR. I don’t think telling all the parties in Germany that they are rewarded for being lazy is truthful at all, or in Norway, Scotland, etc. and the many countries using PR. There’s no need for me to lead a movement advocating electoral reform when there is an existing one: Fair Vote Canada. Of which I have volunteered with for some time. Please Wade, there’s no need for us to be rude to one another. I would hold all political parties to the same standard with regards to candidates, I called out the AB Libs based on your assertion that it was a point of pride that they ran 87 candidates. Parachuting candidates in is a disservice to the riding and voters in general, and I believe that between the AB NDP, AB Liberals, and AB Party there would be more than enough local and qualified candidates for all 87 ridings in our province. @Wade, you are a breath of fresh sir. An election is won by many factors, but the ground game is a function of the finances and money coming in as well. Your frustration with spoilers is well founded. Some of these centrists geniuses have no idea that even in the PC party, the divisions are so deep on many fronts and ideologies, even more so than the Liberals. However, the fact remains, at the end of the day, as a large tent party, the people who are there, have the sense to hold their nose, bite their lips and do whatever it takes to get the job done and reach people. Ethical or not, moral or not, folks in the Tory AB camp have enough sense to realize that bashing their leader at the end of the day, is a futile exercise that weakens the party. Sadly, some of the AP Types and disaffected and heavily baggage laden ex Liberals spend so much energy on useless futile endeavors. At least their counterparts in the Tory party have the sense to realize that consensus, collabertion and willingness to reconcile differences is what is required to have a strong party and a strong political front. Some of these disenfranchised centrists need to grow up, mature and realize that they, as individuals need to find the basic ability within themselves to be able to build commonality for the greater good. As individual thinkers, they are great in their own universe. As thinkers who can advance a group, they have not a clue. They can learn a thing or two from the Tory camp in AB. These guys are organized and hold their noses a thousand times a day, if it means their party can get the votes to win. Almost none of the MLAs supported Red-ford, yet NOT one of them is bashing her. They at least have the basic sense to realize there is something much bigger than their own infantile bickerings. Some of these individuals are uninspirable and difficult to reach. The Wildrose party did not step over anyone or work with another party to become Offical OP they did it with hard work. Being un-ethical would be to put a knife in a party that holds views that are close to your own, while pretending to hate the government in power working in together to go after the same foe the Libearls. I am not even going to get started on how the Alberta Party was a sock puppet for the P.C. party to help carve up an even bigger vote split on the left. (the Ken Chapman’s and Chris LaBossiere’s of the world of Alberta politics former lefty P.C.’s now Alberta Party hacks)who sit around in rooms working out the square root of F@#K ALL. They were as I am sure you are useful fools of the P.C’s to used as useful tools to splinter the left vote up as much as they could. Kind of how the Evergreen Party pops up two months before an election after the Alberta Green Party was not allowed by Elections Alberta to run. Guess what it worked. Once. ChangeAB–was also right about the inner workings of the P.C.’s. That is another topic than I am very well aware of, but am not an expert on so I will leave others to comment and for time to tell how all of that will end. I am not against a PR system. I will work within any system of voting as long as democracy is respected. Also finding good people (sometimes anyone to run) is a hard process. Bloggers like Dave make it even harder when they make comments and snide jabs at people many of whom are running for the first time and after the election may never run again. Plus, who gets to decide who is a quailfied candidate YOU, your leader, the board of your riding or the members in the riding. Again I say to you don’t run. If my barbs and disrespect bother you….try the media or voters who do not share your view. I think someday you will know what I mean. 1) The co-operation measure was a total joke. The co-operation was meant for electoral purposes and as Keegan pointed out above legislative co-operation still exists. In terms of the electoral success of the co-operation movement? Ask Arif Khan how he co-operative he thought the NDP were when they trotted out Olivia Chow with a bunch of parachute volunteers to door knock in his riding knowing full well there was no hope of an NDP win. The NDP knew there were other ridings they would have an actual miniscule chance of winning in & around the GEA but they sent in the big gun, Olivia Chow, to door knock against one of the ALP’s star candidates. I think this action alone speaks to how much “co-operating” was done. 2) Progressives SHOULD unite, around the Liberals. For all of the faults of the Liberal party, they still ran a campaign that elected 20% more MLA’s than the NDP/AP/”Evergreens” combined, even though they spent mere pennies on the dollar to do so. The urbanist NDP couldn’t even muster a single close race loss in the biggest metropolis in the Province! 3) In terms of “legislative co-operation” between the NDP and Liberals, this is basically meaningless. What are they going to do together thats so important? Are they going to pass a budget? If there is a reason to raise a hoist motion or something to cause drawn out legislative debate, they dont need some silly party bylaw to do so. 4) If you dislike the leader of the Liberal party, it is a poor reason to not be a member of the party that recognizes your core values. To the contrary you should be a vocal member and bring up your concerns directly with the leaders office. It’s Raj Sherman, not Barack Obama, I’m sure he will call you back. If you still don’t like what you hear/think your concerns could never be reconciled with the leader than vote for a leadership review at convention! It happens all the time, thats quite often how leaders change in Canadian politics! But to slag on a blog is lame. 5) Finally I want to address the attacks against Sherman and the board for somehow being undemocratic lol. The BCLP recently changed their logo and now everything says “Christy Clark” which is even worse, because after she’s done as leader (which could be as early as May) all of that debt incurred by the party is useless because stationary/signs/pens/buttons/etc can not be recycled for future elections. Was the membership consulted about the new logo? Not one iota. Look at the increased usage of Orange in the PC logo this past spring, nobody asked their membership to vote on it either. Midgely is wrong and perhaps Kent should explain political convention in Canada regarding this issue to his riding president. No political party in western Canada asks membership about color/logo changes as I have factually demonstrated above. People against the new logo are pebbles in a can in an echochamber (twitter). I should mention that above my “slagging” comment was intended for those doing so without publicly stating their names. If there is anyone interested in changing the Liberal party please contact me. We need democracy and new policies in our party that come from everyday people. We have to make this a people party and also a party of conversation and connection with our local communities. This can only happen with real people working on real life policy. Our lofty policy last election is a major factor in our election defeat as well the fact that it was designed and forced onto the candidates “take it or leave the party” with no consultation was and is very anti democratic. I was told that I also should watch my self in relation to calling myself a candidate after the election. Well I am a LIBERAL. Not a LABERALBERTIANYESMAN sorry. The federal Liberals had an amazing process for open policy development and connection, because people like Wendy Butler (no relation) are democratic in their view points. To correct the record – I don’t believe Olivia Chow was sent into Edmonton Riverview at all. She appeared in Edmonton Strathcona, Gold Bar, Highlands-Norwood, and perhaps one other north side riding. The door knocking she did was accompanied by local volunteers. Not that it matters – if she had appeared in Riverview – so what? Were you expecting the NDP to campaign for Liberal candidates? I managed the NDP campaign in Edmonton Gold Bar, and I don’t recall seeing Bob Rae drop into our campaign office. Nor did anyone expect him to. The oldest political party in Alberta gets a new logo and it sparks this kind of debate. Everyone who has posted on this thread has made some good points. The ALP is saving a ton of money by not spending it on a focus group the just have to read the blogs and twitter. Although I think prehaps I may have been too harsh and snide in my own remarks. Rude is also something I am not interested in being. But dollar for dollar & in time and money if you choose to invest in Alberta politics there is no better value than the ALP on your return for your investment. As George Burns once said; if you are around long enough in the business you are bound to rewarded someday. 🙂 (on his first and only Oscar). Wade, you are a very reasonable, stable, strong breath of fresh air. Its people like you who actually make a difference to democracy and turn over. Stay strong and never apologize for holding ground. You have vision and that is a gift. @Lou Arab, incorrect. Chow did go into Khans riding. Moreover so what? You guys helped hand the PC’s a seat. It’s time the NDP realized they need to fold in Alberta, they run their whole campaign off of money and people sent from everywhere but Alberta. There is no NDP in Quebec for federalist reasons… if the NDP cared about progressive agendas like it says it does it would fold into the AB Libs. When Liberals have their WORST election in 25 years in nearly every aspect, while at the same time the NDP have their best… and they STILL lose… its time to rethink your purpose. Is your purpose to win four seats and screw over progressives in other ridings? Because Mason has proved he is superb at that. In terms of “who cares” about Olivia being in a Lib held riding… I would say that comment right there from a militant NDP’er is why the co-operation needs to end ASAP between the two parties. OR should the NDP just try and bribe the libs to sell out and cross the floor Lou lol? I could argue that by putting Raj into Gold Bar – you helped deliver that seat to the PCs. Doesn’t make true. Look – anyone can cherry pick through the election results to make it look good. For example – the NDP won two new seats while holding on to incumbents. The Liberals were unable to win anything new. In addition to the seats the NDP won, they managed to leap ahead of the Liberals in several ridings (Gold Bar, Lethbridge West and Ed Glenora come to mind) and are now in contention to win a number of ridings across the province. See how easy that is? The fact is, the Liberals and NDP were near tied, with the Liberals edging ahead in seats and votes. This means nothing for the future. Neither of us know what the next election will bring. Finally, I’m not sure what the bribery comment is about. I doubt I could bribe Raj Sherman. If I had his money, I’d burn mine. Lou you could argue that putting Raj in Gold Bar helped deliver the seat to the P.C’s (you would be wrong). The seat was Liberal before the writ. It would only make sence that a Leader of a Party would visit it to show support, but having a star Liberal M.P. go to Calder would not have been right (just to insure a Tory win). Mr. Eggen now enjoys a seat he once held. Ms.Chow and her visit to Riverview a riding never held by the NDP gave the seat gift wrapped to the P.C’s. Nice! The NDP spent more then 5 times what the ALP spent and now have a debt. Both seat gains made by the NDP were last held by….the NDP. Although a case can be made at one time every seat held in Edmonton was once NDP, ALP or PC for that matter. Now the NDP is at it again in Calgary Centre. Split the vote so the Liberal has no chance of winning. Even if the same seat is now held buy the Liberals at the provincal level. Insuring a more stable grip on the Harper Majority. Lou you just do not have a clue. In Alberta it is the same old story, a vote for the NDP is equal to one for the Tory. Lend your vote to the progressive party that has a slight chance of winning the seat in Calgary. The 2012 Provincal election is over. The next one will be here soon enough. Wade, very true. The extreme left, the ND’s and the Tories are natural friends and always have been, as they both collaberate to squeeze the centrists. It is absolutely true, anything that leads to vote splitting, the ND or Alberta Party vote, is actually a vote to ensure vote Splitting to benefit the Tories. So, yes, a vote for ND’s or AP is a vote for the Pee See’s. Despite the mass level corruption that has come out in the last 2.5 yrs, it still was not enough to topple the Tories. The Tories are running on their last leg, their donations are down and they WON 61 seats, ONLY because of the Lake of Fire, fear based vote hysteria, not because the Tories were something so fantastic. Centrist spoilers and ND’s are either living a fools’s paradise dream or working hand in claw with Tories to get favor with collective bargaining contracts and exclusive contracts from the Toreez for services rendered, those services being, squeezing the center out. Next election those votes WILL NOT be borrowed by the Pee See’s. THey have peaked and anyone hedging on the continuance of the same thing is hedging wrong. There will be huge political turn over. THe Tories have used far too many “Get out of Jail for Free” cards, those are running out. 1971 was that moment for AB. We should always look to the past, if we want to predict the future. This establishment has become far worse than the one it replaced in 1971. Nd votes and partyless vote splitting spoilers are only continuing that status quo and NOT furthering democracy.